The YIFY Movies Kodi addon available from Stream Army for Premiumize and Real-Debrid users is one of the most interesting new free streaming movie addons released in a long time. YIFY Movies works to find P2P torrent streams from high-speed servers for you on all modern versions of Kodi from 16 Jarvis to 17 Krypton, and even the latest Kodi 18 Leia. Is this addon really a great YIFY TV and movies browser? Yes it is! It finds all the great blue-ray movie rips for which YIFY is so well known. Is this great YIFY movies Kodi addon then able to stream them on the spot? Yifi! For more detailed install directions, scroll farther down in the article. Also, be sure to enable unknown sources in Kodi before attempting to install the YIFY Movies addon. 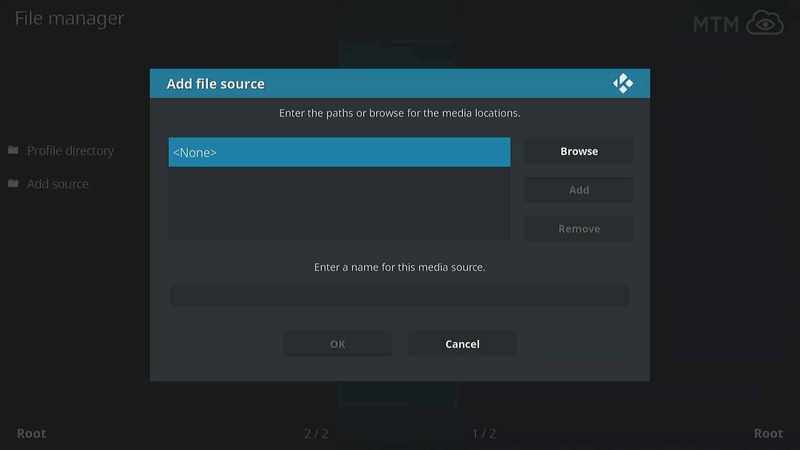 On the Kodi home screen, click System > File Manager > Add Source > <None>. Type in http://streamarmy.co.uk/repo, click OK, name this streamarmy and click OK again. Kodi 16.1 Jarvis or earlier: Click SYSTEM > Add-Ons. Kodi 17.6 Krypton or 18 Leia: Click Add-ons > Add-on browser . Click on Install from Zip File > streamarmy > repository.streamarmy-x.x.x.zip. Click Install from Repository > Stream Army Repo > Video Add-ons > YIFY Movies > Install. You’ll no longer need to find new YIFY movie sites when they go down and stop working. Please Note: Even when using a YIFY proxy, your activities are clearly seen by your ISP and everyone else on the network. This is especially true when using YIFY stream torrents, as the torrent network works by transmitting your IP address. Please note that you must have a Premiumize or Real-Debrid account to use the YIFY TV addon. It is only designed to take advantage of HD movie torrent streaming features provided by these services. If you do not have an account at one of these high-speed streaming server services, then you may wish to try the legendary Exodus on Kodi, which finds plenty of great movies and TV shows on the general internet. Note that you must enable unknown sources in Kodi 17 Krypton and later before you can install third-party addons such as YIFY Movies. From Kodi’s main menu, click the System icon. Select <None> to use a custom YIFY repo source location. Type http://streamarmy.co.uk/repo into the text field and click OK. Within the text field below, enter streamarmy, then click OK. If using Kodi 16.1 Jarvis or earlier, go into SYSTEM > Add-ons. While running Kodi 17 Krypton or later, click Add-ons > Add-ons browser. Click on the repository.streamarmy-x.x.x.zip file to install the Stream Army repository. Still within the Add-ons browser, click on Install from Repository. Click the Install button to start installation of YIFY Movies Kodi addon. Congratulations! You can now connect to a securely encrypted VPN server via your IPVanish VPN app to anonymously stream a great YIFY movie or YTS movie. You may even find some aXXo movies in the mix. A recent update to the Kodi ResolveURL dependency addon now makes new torrent-based Premiumize and Real-Debrid features available for Kodi addons. Utilizing these peer-to-peer networking torrent technologies from this updated ResolveURL script, YIFY Movies HD is one of the first Kodi addons to take advantage of these new features to lower buffering when viewing HD video streams. Most YIFY visitors from the UK and other parts of Europe find the YIFY Movies site blocked from access. Internet service providers in most parts of the world lately very actively censor available content for their subscribers. Due to this censorship, much of the content available with the YIFY Movies addon will be unavailable for many people when first installed. The addon won’t have access to the YIFY Movies site to scrape all the great streams available there. Note that if you have your IPVanish VPN app running and connected in the background, none of this is a problem. Your ISP has no idea about your online activities or sites visited. You’re just a ghost in the machine. If you can’t afford a few dollars per month for VPN protection, or still believe it’s unnecessary, there is a possible fix within the YIFY Movies addon preferences. Just select the YIFY Movies Kodi addon without opening it (don’t click on it). Then, hit the menu button on your remote and click Settings. You can Enable Proxy here. This YIFY proxy can get you around much of the censorship aimed directly at the YIFY movie sites by causing the addon to access an alternative site that’s hopefully not blocked. If this doesn’t work, then a VPN is really the only way around the censorship. Of course, even having the YIFY proxy setting turned on, your ISP can see what you are doing online. Only encrypting your data will hide that. If you wish to take your chances with one of the free VPN services, please be sure to read our review explaining the Best Free VPN first. With most YIFY movie sites taken down over the past few years, it’s good to know an alternative to YIFY TV is now available for Kodi. Even the YIFY Releases and Stream YIFY Kodi addons from the MrEntertainment repo within TVAddons were taken down.